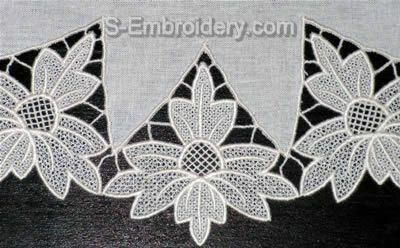 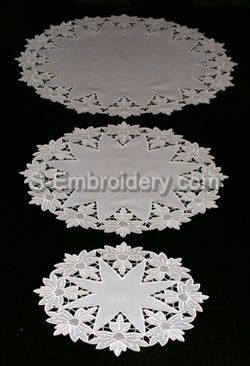 This set of 3 freestanding lace machine embroidery designs will let you create 3 free standing lace + fabric doilies with different diameter: 11.6 inches (29.5 cm); 16.14 inches (41 cm) and 20.9 inches (53 cm). 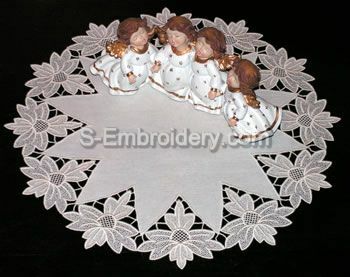 You will have to stitch out 8 of these in order to create the small doily, featured on this page. 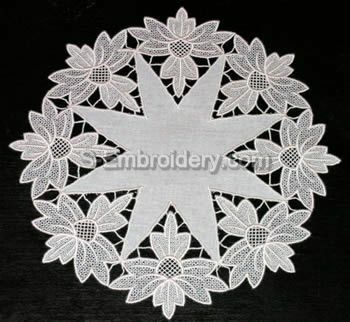 You will have to stitch out 12 of these in order to create the medium doily, featured on this page. 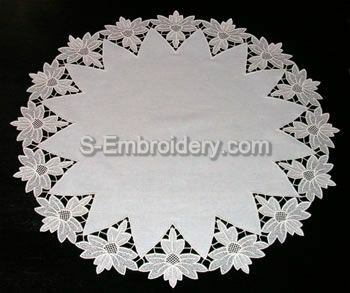 You will have to stitch out 16 of these in order to create the largest doily, featured on this page.